We have an exclusive partnership with Balanced, Edinburgh’s premier phyiotherapists, who offer a range of health and wellbeing services. The Balanced team of professionals is led by Chartered Physiotherapist, Judith Paterson, who has over 25 years healthcare experience. She specialises in helping people to move safely and comfortably. 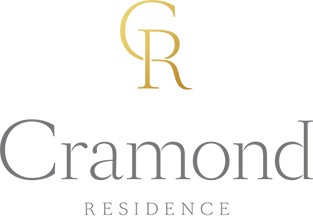 Upon joining Cramond Residence on a permanent basis, each resident will be offered a full assessment to determine how well they can perform daily tasks. Our physiotherapists and nurses will then recommend any exercise or treatments for individual care plans, taking into account resident’s personal aims. This may include exercise, massage, moving support or fall prevention classes. actions or treatments residents can include in their individual care plans, taking into account their personal desired outcome. These may include exercise, massage, moving support or fall prevention classes. Residents are reassessed every six months to update plans. This service can also be made available to short stay residents on request. Services are offered by healthcare therapists who are fully qualified, experienced and insured in their chosen practice. We have a dedicated physiotherapy gym specially designed and equipped to help rehabilitate older people. We also have a private consultation room.